The fantastic Hannah Faulkner comes back to the Pom to bring us her take on pop and rock with some classy covers. Hannah is joined by Daniel Butterworth, Ray Beck, Charlie Mucklow and Junkyard Crew. 5 acts from 5 genres! 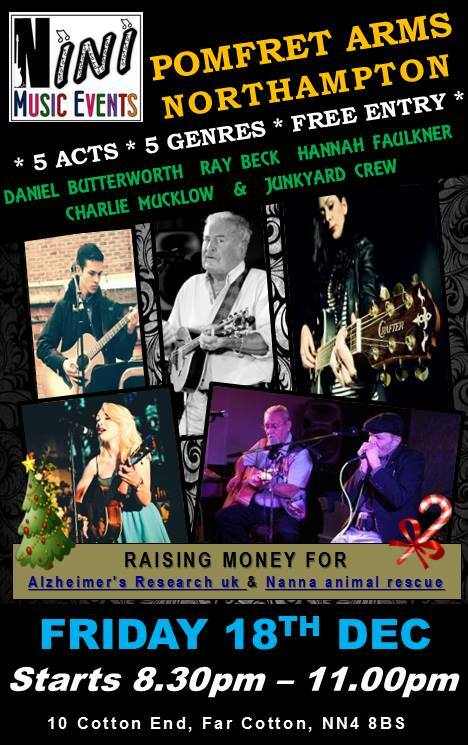 Free entry, raising money for Alzheimer's Research UK and Nanna Animal Rescue.